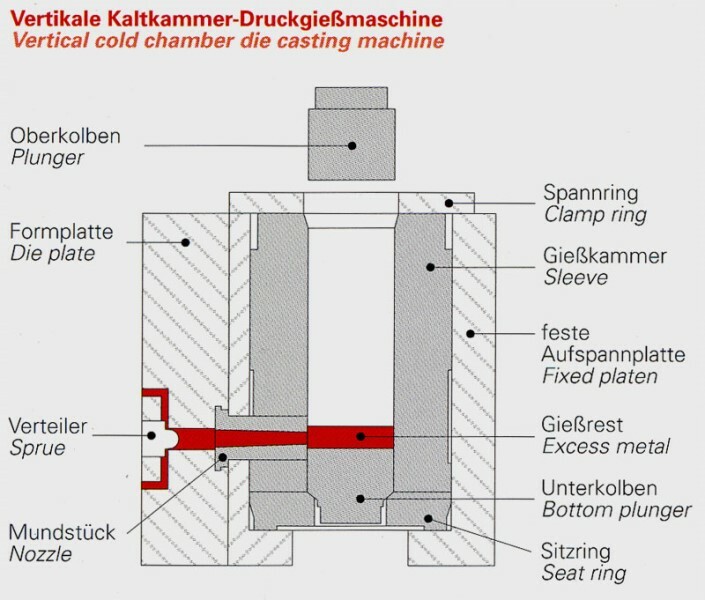 Cylindrical collection vessel for liquid metal during pressure die casting in which the metal is accelerated and pressurized during the casting process. 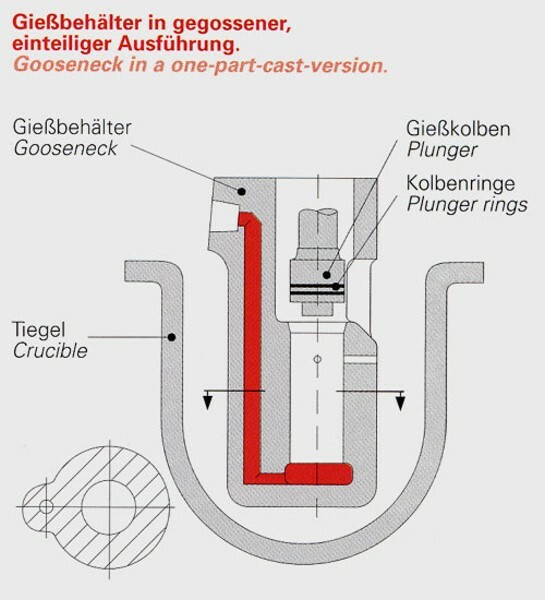 Depending on the die casting process, a distinction is made between hot- and cold-chamber shot sleeves (see Fig. 1, casting unit). 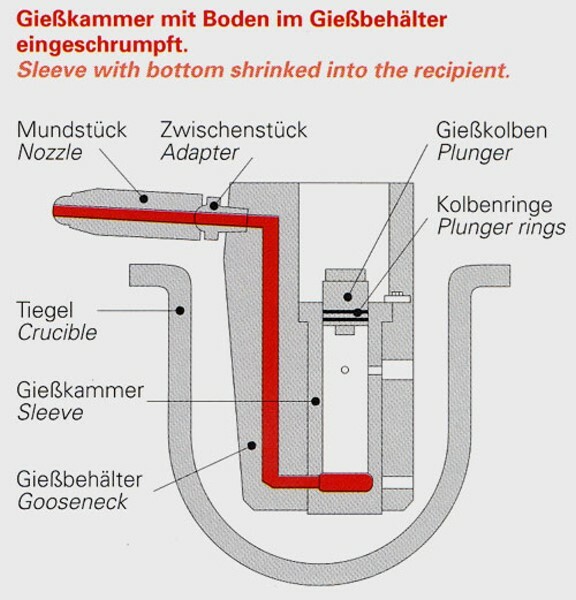 Some sample designs of cold- and hot-chamber shot sleeves can be seen in Fig. 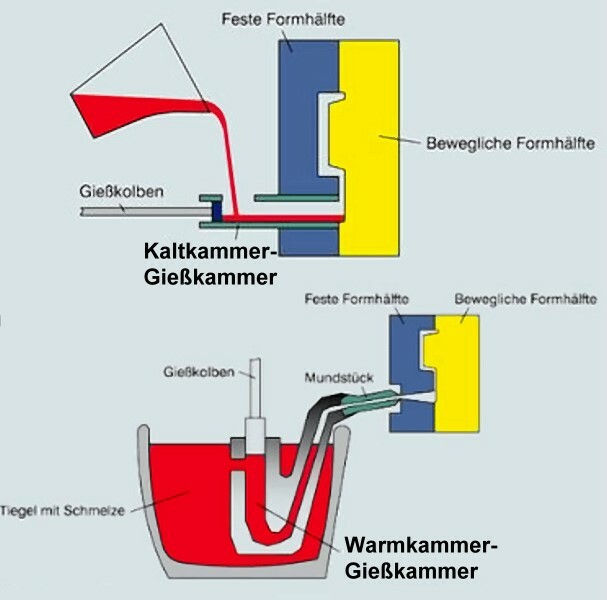 7.In recent years, thermoregulation of shot sleeves has been more and more widely used in pressure die casting (Fig. 8). Originally, it was developed and applied for large shot sleeves where the high amounts of cast aluminum and the thermal shock have a great influence. 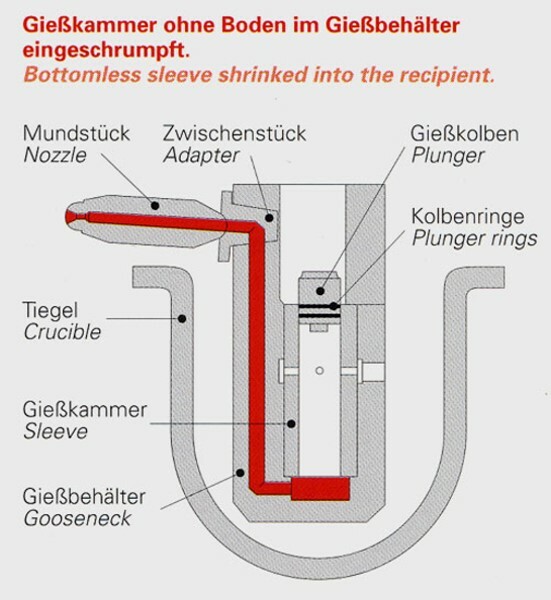 These are also important factors which are critical for the shot sleeve’s service life. In addition, fit is an essential aspect in shot sleeve design. 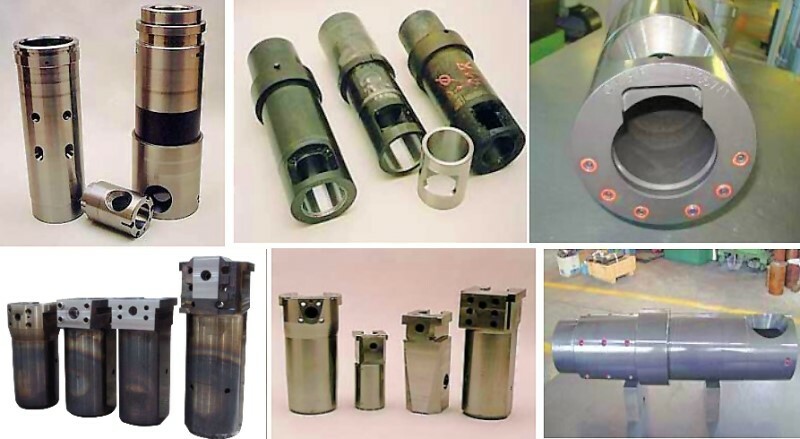 During operation, the expansion of the shot sleeve should be kept within the tolerances in order to prevent compressive stresses if the shot sleeve is integrated in the fixed machine plate and in the mold.